Firestone Tire was founded in 1900 by Harvey S. Firestone. Among the manufacturer’s many accomplishments, it is worth noting that in 1925 he introduced the first low pressure inflatable tire, which would allow the driver to travel a much further distance. In the 1940’s, Firestone produced different parts for the army serving in World War II. Ever since the first edition in 1911, the Indy 500 circuit has been Firestone’s playground. It wasn’t until 1983 that Bridgestone bought Firestone Tire and became one of the most important tire and rubber companies in the world. Firestone tires are original equipment on the following vehicles: Nissan Sentra, Toyota Corolla, Toyota Sienna, Dodge Caliber, Jeep Compass, Chrysler Sebring, GMC Silverado and Canyon. Firestone Tire mainly offers one winter tire model, theWinterforce, which offers excellent traction on snow and considerable traction on ice. Firestone Winterforce winter tires for cars will be perfect for driving on snowy roads while the Firestone Winterforce UV was designed for SUVs and vans. LT and A/T tires will be accepted in Quebec during winter until 2014. 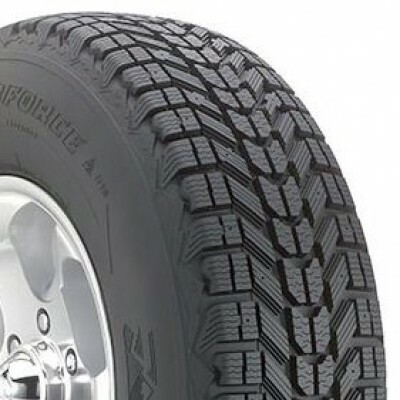 Therefore, all Firestone Transforce A/T, Destination A/T and Destination M/T tires are allowed for jeeps, pick-up trucks and 4x4s during winter.Firestone Winterforce UV tires are also available in LT version in order to meet load support usage for vans, pick-up trucks, 4x4s and jeeps in winter. Firestone Winterforce tires are, over all, better suited for secondary roads and city driving, which means their performance level will be higher on snow. Firestone winter tires for cars, as well as vans, will provide less traction in icy conditions such as highways. These tires will be highly efficient in heavy snowfall conditions, such as those in Quebec and Northern Canada. 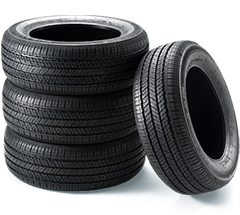 Firestone Tire has many different summer and all season tires for different types of road vehicles: sedans, station wagons, sports coupes, SUVs, 4x4s and pickup trucks. Firestone summer and all season tires allow good road traction. A good quality Firestone all season car tire is the Precision Touring. 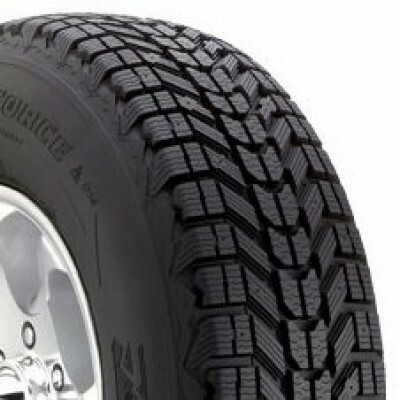 Firestone also has all season tires for utility vehicles like the Destination LE. The Firestone summer tire category includes the Firehawk Wide Oval for cars and the Destination S-T for SUVs, both available in different sizes. Firestone Tire is more oriented towards truck tires, and more specifically work vehicles and on-/off-roading versatility. Except for the Destination ST, Firestone tires are a good choice for light trucks, pickups and 4x4s that are used to tow trailers or campers. Different sizes of Firestone tires are available in LT version or, 8 or 10-ply, so they are good for construction workers or pickup truck drivers that transport heavy loads. Firestone tires are original equipment on the following vehicles: Nissan Frontier, Toyota Tacoma, Toyota Sienna, Jeep Compass, Pontiac Torrent, Chevrolet Equinox, Avalanche, Suburban, Trailblazer, Envoy, GMC Silverado and Canyon. Firestone Tire offers on-road and off-road tires for trucks, vans, pickups and jeep 4x4s. More specifically, they have summer performance tires, all season tires for long hauls and city driving or for commercial use. Firestone also has tires that can handle the on-road and off-road conditions in Quebec and the rest of Canada. Firestone’s all season tire, the Destination LE, is for on-road SUV use and offers good durability, so it is a good choice for vehicles that do a lot of long hauls. The Destination M/T is an off-road tire that offers excellent traction in difficult conditions. The Transforce A/T tire is a nice alternative for commercial road vehicles like trucks, vans, pickups and 4x4s. The high-performance tire, the Destination ST, offers excellent traction at high speeds in wet and dry conditions. Firestone tires helped Ray Harroun win the first edition of the Indianapolis 500 in 1911. Firestone has been involved in every edition of the Indy 500 since then. Here are some more facts on Firestone’s performance history on the racetrack: The 43 Indy 500 races that took place from 1920 to 1966 (not counting the years the races were cancelled due to World War II) were all won by cars that were equipped with Firestone tires. Firestone also won 568 victories in the Nascar Sprint Cup and, at the beginning of the season in 2009, Firestone had a record number of 819 victories at IndyCar. Firestone Tire has high-performance summer and all season tires, designed for speed, that have excellent traction in wet and dry conditions. Firestone high-performance summer and all season tires are great for cars, sport utility vehicles and pickup trucks. 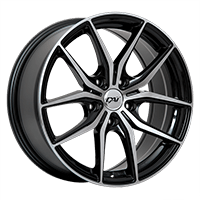 Firestone also offers high-performance all season tires, like the Precision Sport and the Firehawk Indy 500 for cars, and the Destination ST for light trucks. These tires are all efficient in temperatures as low as -7 degrees Celsius and are a bit more durable than summer performance tires.